Job interviews are tough, there is no doubt about that. With most jobs, however, the interview is just an opportunity for the employer to get a feel for what kind of personality the applicant has. They usually don’t involve grueling technical questions with time limits and several people observing you. Computer coding interviews are different. 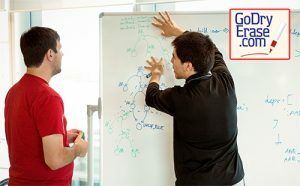 Imagine being handed a dry erase marker and being given a complicated problem to solve on a whiteboard in front of 3 to 10 people. That’s the way an interview in the tech industry often goes. And if there’s one thing you don’t want if you’re the one taking the test, it’s to run out of space! Often the interviewers aren’t as concerned about the applicant getting the correct answer, as they are about watching how the person thinks. Remember back in school how math teachers would want you to “show your work” when solving a problem? It’s kind of the same situation. You can probably guess that some of our best customers are math teachers and tech companies where they write a lot of code! 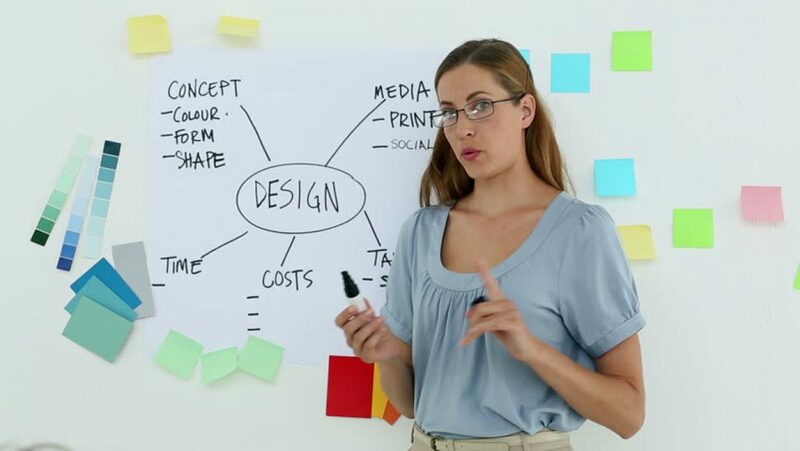 Whiteboard in a Box is perfect for these situations because it is a self-stick adhesive roll of brilliant white dry-erase film that can be placed on almost any flat surface. 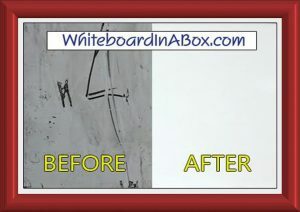 When the time comes to remove Whiteboard in a Box, it comes down easily and without harming the underlying surface. The product comes in 48” wide or 60” wide and variety of lengths and cut to a desired size. 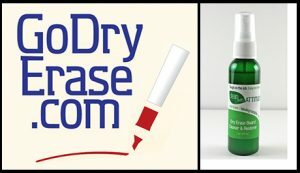 Don’t forget to order a bottle of our Dry Erase Board Cleaner!